A Virtual Tour of the John Benninghofen House: Interested in how a wealthy industrialist lived during the Victorian Era? Visit the home of John Benninghofen to see what a typical wealthy home looked like, and explore some of the social customs of the time, such as the function of the formal and informal parlors. The Ghosts of the Benninghofen House: Meet the ghosts of that are residing at 327 N. Second Street in Hamilton! The ghosts of the Benninghofen House include Wilhelmina Benninghofen, John McBride, Brigadier General Ferdinand Van Derveer, Little Turtle and Blue Jacket. Learn about their lives and why they might be hanging around! Industrial Hamilton: In 1845, the Hamilton and Rossville Hydraulic began diverting water from the Great Miami River through town, positioning Hamilton as a key industrial city in Southwest Ohio. The hydraulic power generated attracted mills that produced paper, flour, cotton, wool, foundries and machine shops. By 1900, Hamilton was considered “the greatest manufacturing city of its size in the world.” Local history author Richard Piland will present information about some of these industrial giants that made Hamilton a household name, such as Hooven, Owens, Rentschler, Champion Coated Paper, Niles Tool Works, and Estate Stove. Legendary Locals of Hamilton: Local historian Richard Piland presents the exceptional and dynamic people who helped to make Hamilton a truly unique city. Learn about the business leaders, educators, political figures, philanthropists, city officials, artists and fascinating citizens who built our interesting community and are featured in his book Legendary Locals of Hamilton. Hamilton in the Early 1900s: Take a stroll through Hamilton as it was in the early 1900s. Learn about major employers and manufacturers in the area, visit the shopkeepers along High Street, and explore the neighborhoods where Hamiltonians lived and played. German Village: Take a stroll through the historic German Village area of Hamilton. See how both the upper and working class lived during the Victorian era, and explore the area as it exists today. The Founding of Butler County and the City of Hamilton: Did you know that Butler County was once part of Hamilton County? Did you know that the City of Hamilton dates back to the founding of Fort Hamilton in 1791? 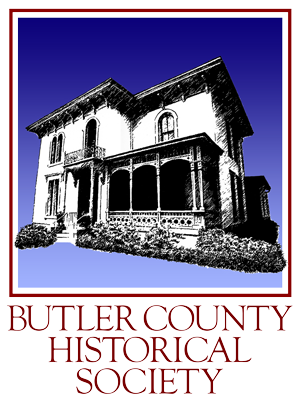 Learn more about the rich history of the early days of Butler County, and its county seat, Hamilton.